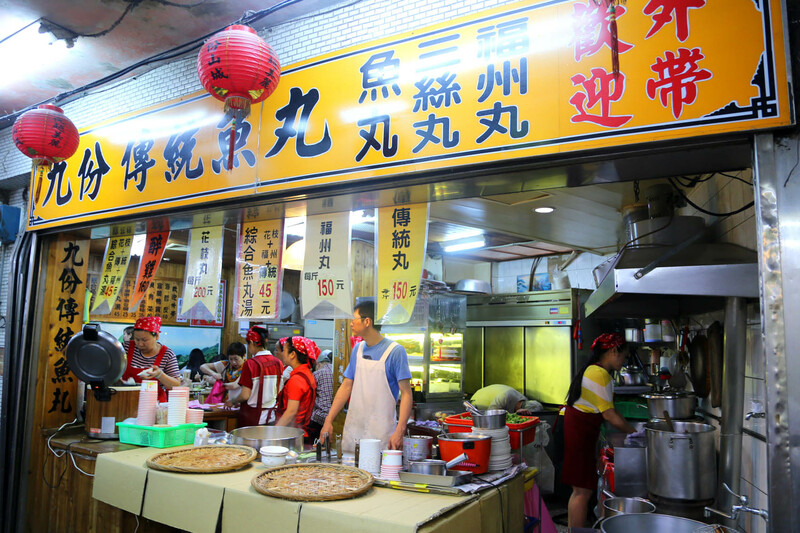 [Taipei, Taiwan] There is an unspeakable charm about Jiu Fen 九份, and has become part of the travel itinerary for many making a trip to Taipei. 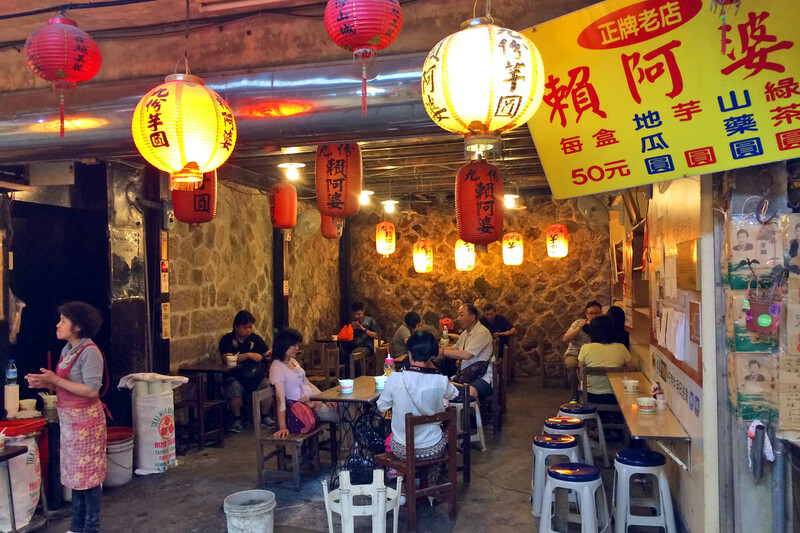 It is a 1-2 hour trip away from Taipei City, located at higher grounds and is a olden town with streets filled with Taiwanese street food stalls, tea houses, and souvenir shops. I must have been here 3 to 4 times, but always find great pleasure sitting at café by the hills, sipping Taiwanese floral tea and enjoying the fresh air and breeze. – The village used to be housed with nine families during the Qing Dynasty, who would request for 9 portions of shipment every time. 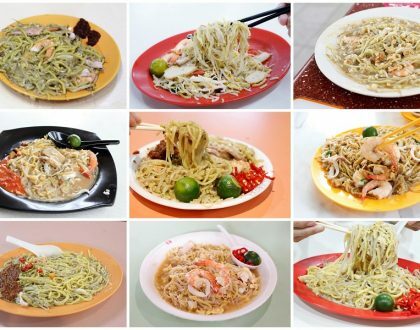 There ‘9 portions’ (Jiu Fen) became the name. – This used to be a gold mining town, which led to its initial thriving. Several of the original houses still remain. – Jiu Fen s is where City of Sadness 悲情城市, the first Taiwanese film to discuss the politically controversial 228 Incident, is based on. 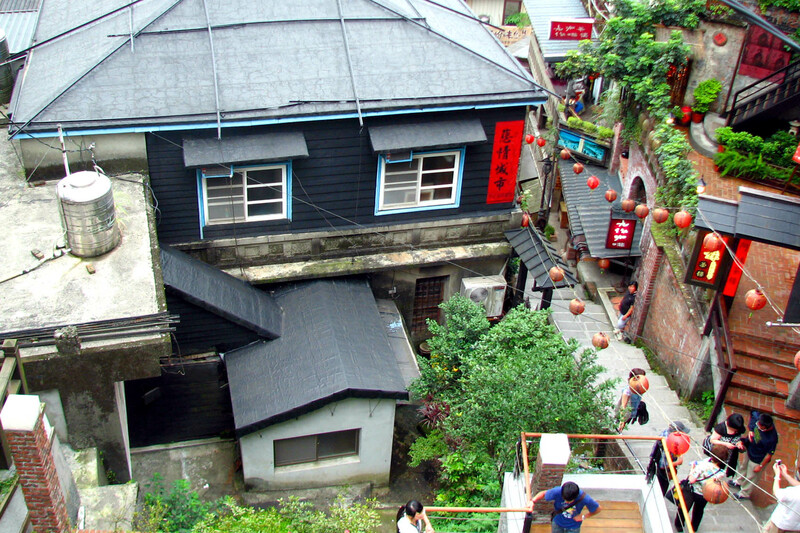 – As Taiwan was under Japanese colonisation, many houses and inns had unique Japanese architecture. 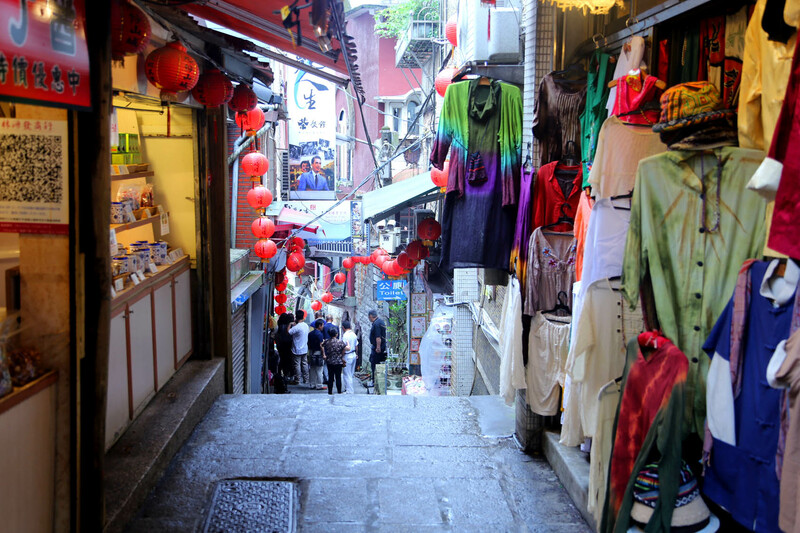 – If you find the setting of Jiu Fen familiar, Japanese animation direction Hayao Miyazaki used the downtown area as an inspiration for his successful movie Spirited Away. 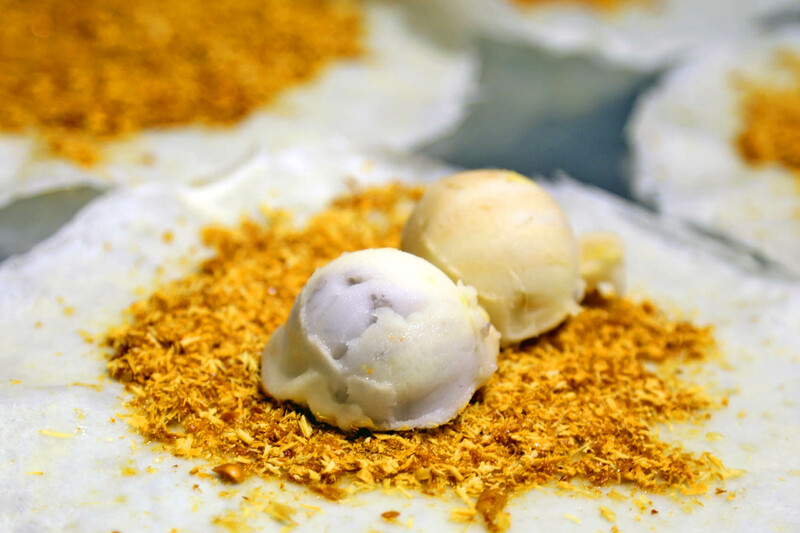 This Yilan-originated roll (40NT) may sound weird – two scoops of taro ice cream, grounded peanut candy, maltose, celery wrapped in handmade spring roll (popiah) skin. But the combination turned out great, with parts of cold smooth ice cream with crunchy bits of peanut candy made with water from Yilan. 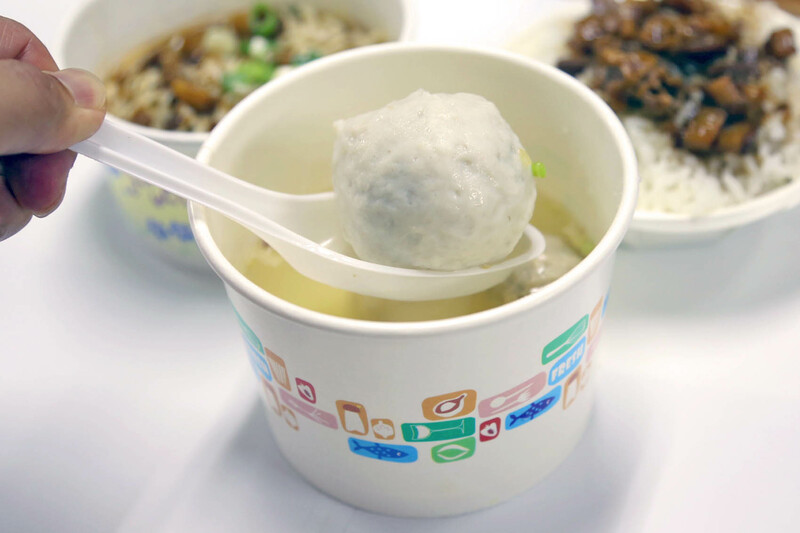 Tourists come for their Mixed Balls Soup (45 NT), comprising of cuttlefish 花枝， Fuzhou and traditional fish balls, which is very affordable. 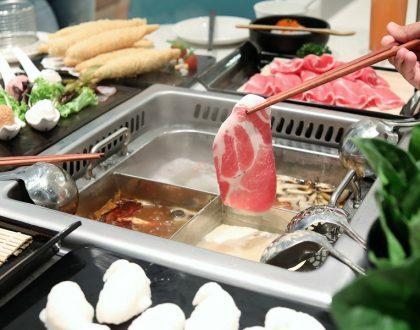 The best ball to me was the Fuzhou, with a size bigger than a ping pong, and send sauce spurting out once you take a bite. 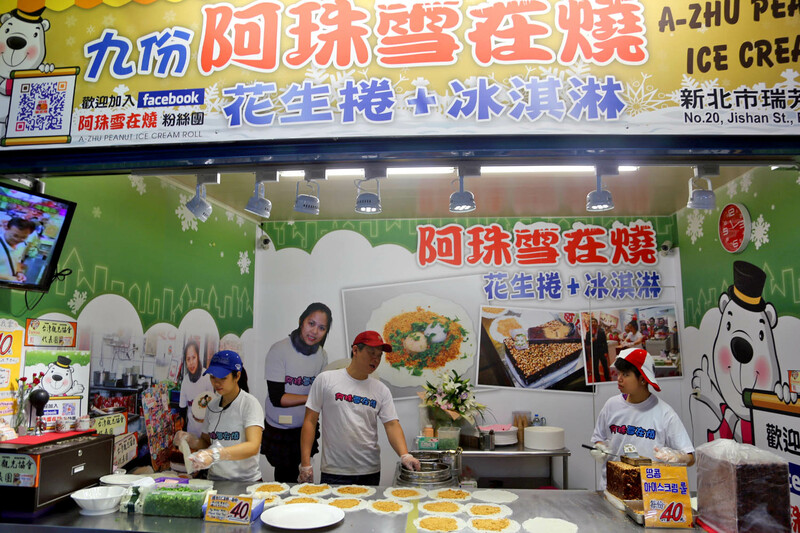 The other food sold are kind of ordinary though for Taiwan street food standard. After having so many different “Jiu Fen Fen Yuan” (taro balls) back at home, this is the real McCoy. The two most popular shops are Lai Ah Po Yu Yuan 赖阿婆芋圆 and Ah Gan Yi Yu Yuan 阿柑姨芋圆 which is higher up the hill. 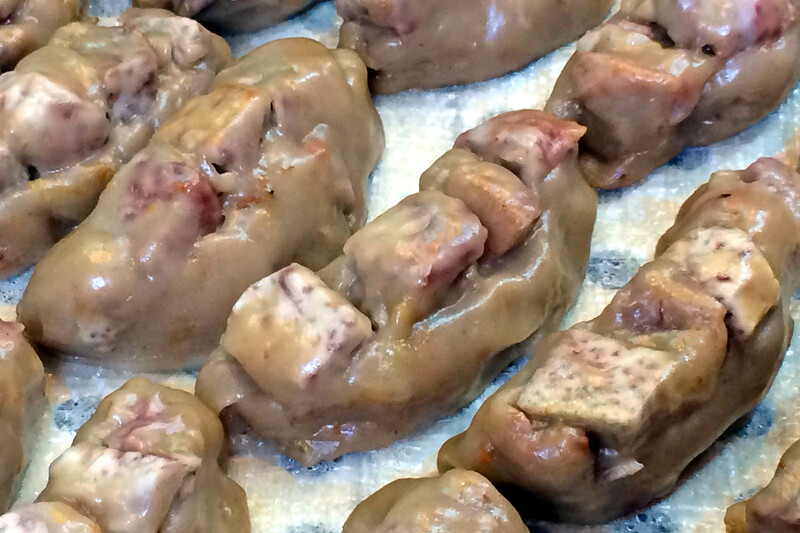 The former stall used to sell pork, but its handmade taro, sweet potato and green tea balls found favour. 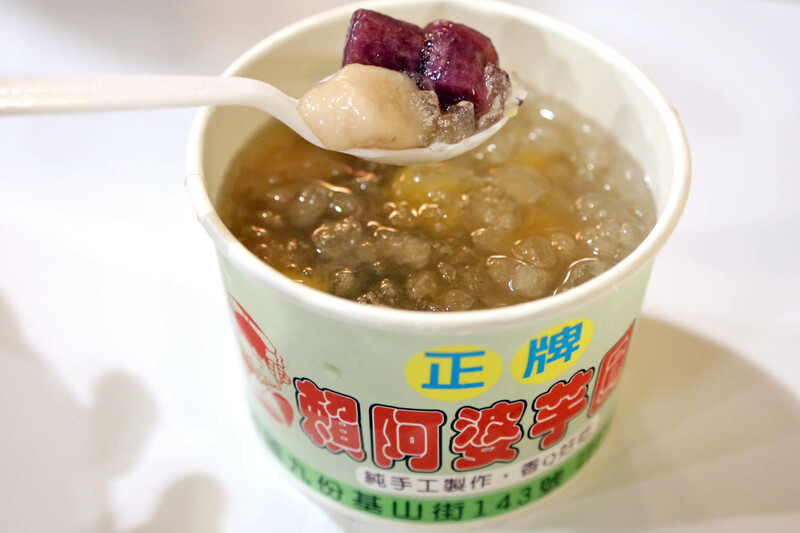 Have a hot or cool mixed balls dessert with red and green bean (40NT) and take pleasure in chewing the glutinous rice balls. 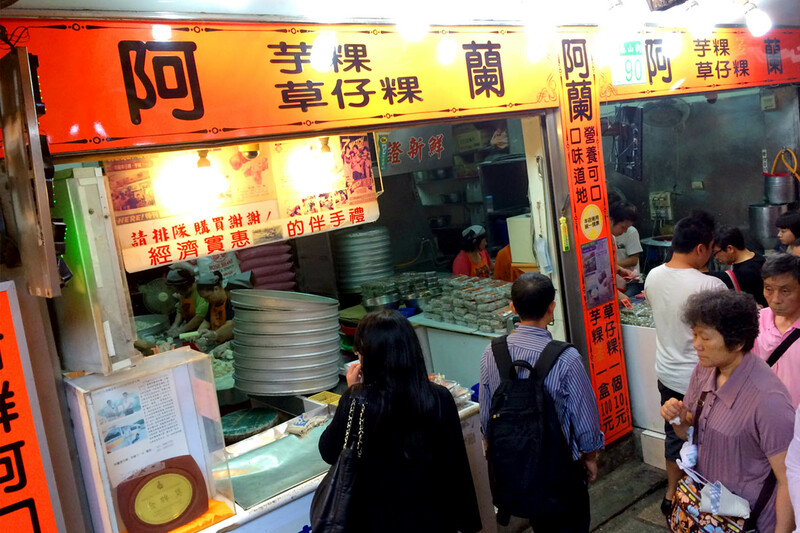 Many of these Hakka glutinous rice cakes are hard to find, and this shop still hand-makes them with the old traditional way and taste. 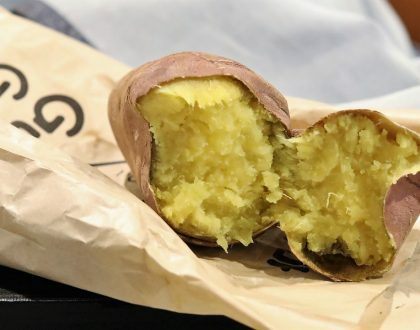 There are salty and sweet versions (10NT each) with fillings of yam, salted vegetable, red bean, or salted green bean. This texture may need some getting used to, the outer layer made with sticker glutinous rice, and the inside with fragrant ingredients. This stall may be known more of its boss, a ‘flower lady’ with a big pink flower in her hair and plastic specs, who welcomes you to take a photo of / with her. 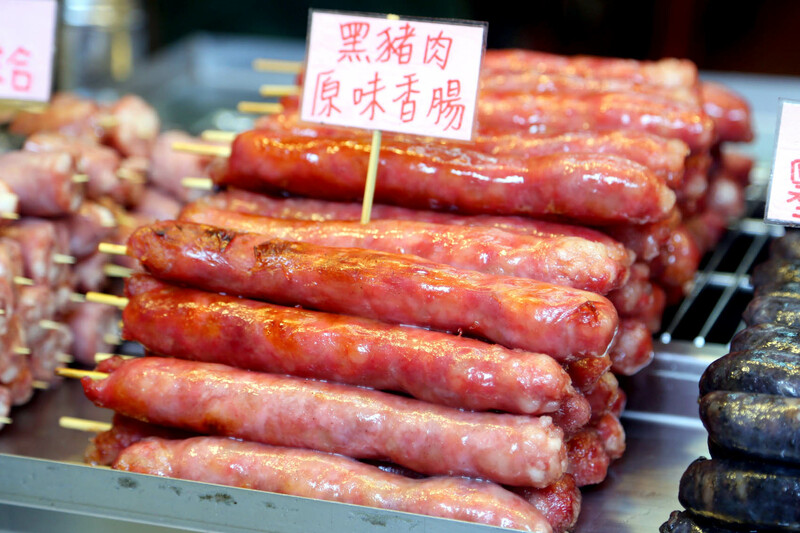 Her Taiwanese Kurobuta sausages (35 NT each) are one of the best I have eaten – long, oily but tender, sweet-salty and tasty. (I almost bought another after having a long one.) 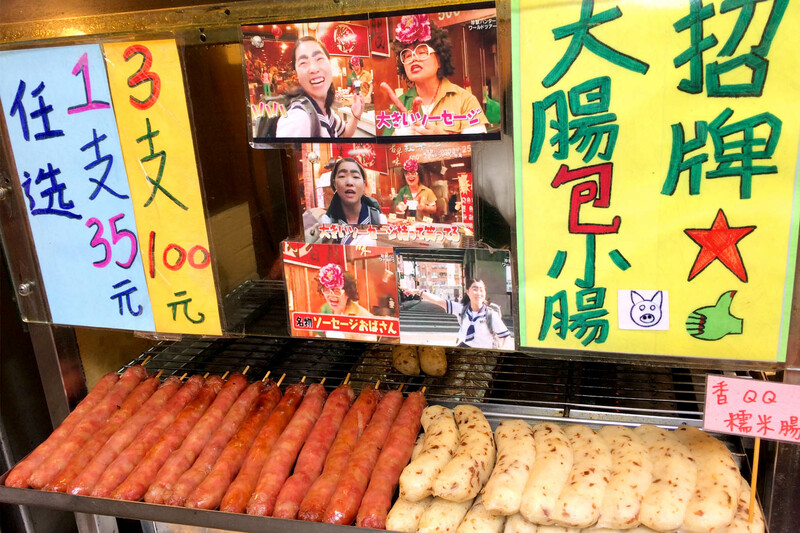 She also sells them in original and squid ink flavours, with grilled cuttlefish ball on the side. From Taipei Train Station, take the train north to Ruifang Station. 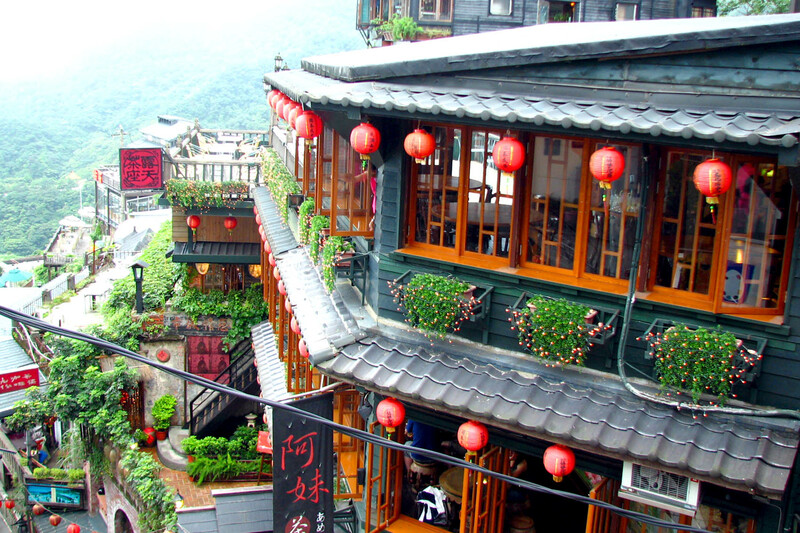 After exiting the station, board the Keelung Transit bus towards Jiufen and Jin Gua Shi. The bus trip will take an estimated 15 minute. Leave MRT Exit #1, and take Keelung Bus 1062 towards Jiufen. Have fun exploring and eating. Don’t worry, you won’t turn into pigs! It would be even better if you can disable the “disable copy” scripts. It gives your readers a sense of unwillingness to share. After all, those who really wants to copy/plagiarise or whatever not will still have ways to do it. Why not just relax and chill. Thanks for the feedback. I only implemented it recently because I see my pictures (sometimes text) appearing everywhere from other websites, apps, blogs to publications. i think you should just watermark your pictures to discourage blatant copying. as for the text, its still not difficult to copy despite your “disable copy” scripts. so yeah, i agree with the above that you should not be so uptight. Visited this place last year. ate the peanut ice cream roll. Nice. 🙂 The pictures are nice.